This package contains an assortment of colorful and Foiled Ephemera pieces. Look for coordinating Designer Papers Straw Swag. 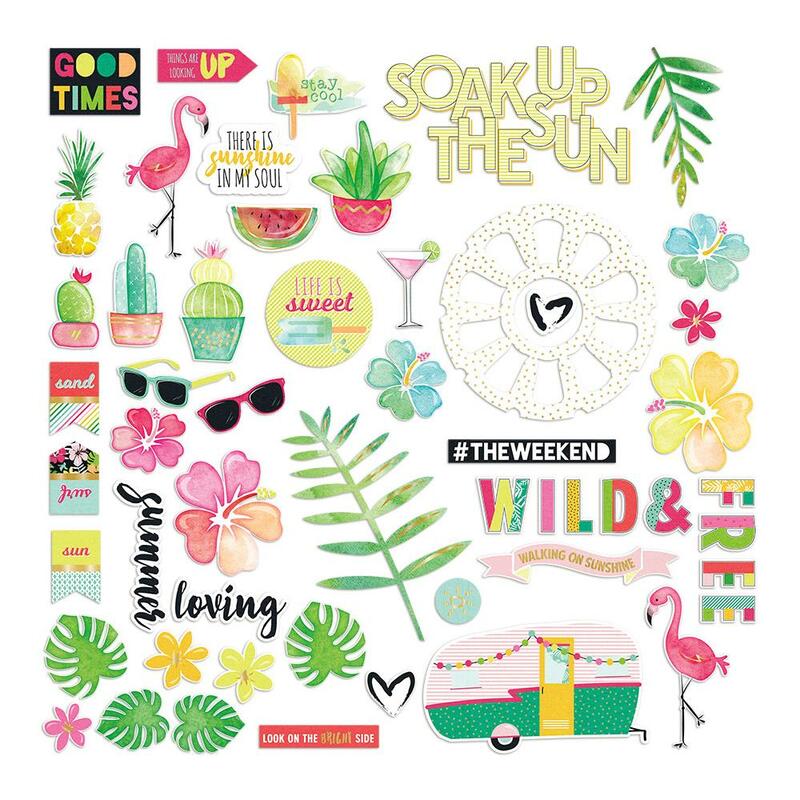 Part of the Hello Sunshine Collection by Fancy Pants Designs.